In addition to the plastic flooring being cost-effective, it can withstand years of abuse and cleans to like-new with just minimal effort. Thanks to continued advances over the years, the plastic flooring of today is economical and attractive. Now you can transform that room that has been needing a makeover this weekend, requiring less money, less effort, but yielding years of enjoyment. 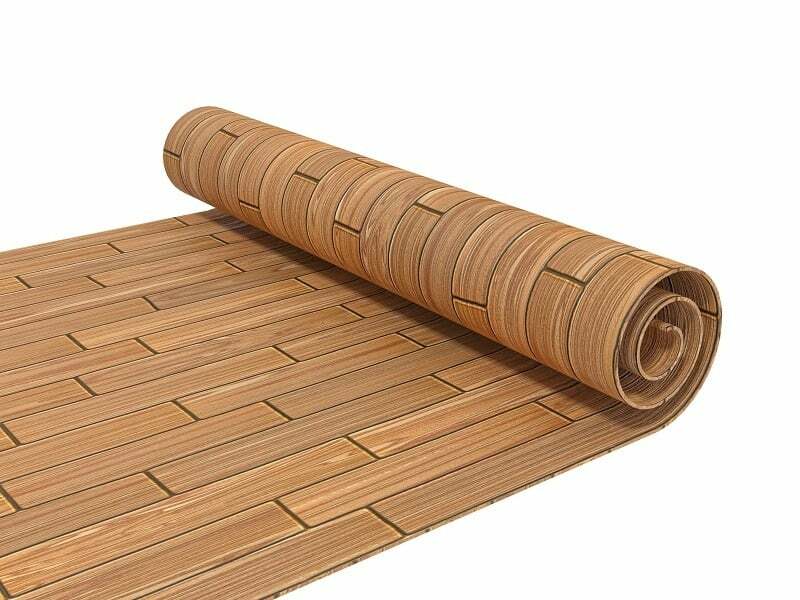 Plastic flooring is everything you think of when you imagine the strength and durability of plastic, but today they are constructed to resemble various types of wood planks too. This affordable option is not as thick as tumbling mats or wrestling mats, but they serve the same purpose. These durable floor tiles are designed to match the style and decor of the home interior, without breaking the budget for the remodeling. This plastic flooring can be installed in the kitchen, basement, or even the garage. One of the unique benefits of the plastic flooring is it can be installed in only a few hours, and last a lifetime. 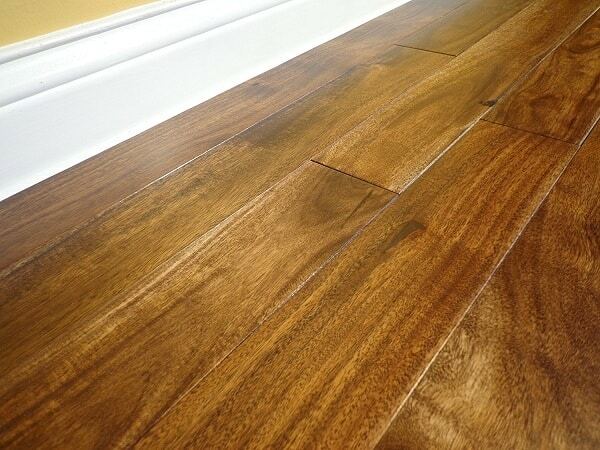 The benefits of plastic wood flooring are numerous, starting with how much they feel better than traditional flooring. The plastic flooring is comfortable underfoot, adding a level of warmth in those rooms that it will be installed. This type flooring is much cheaper than wooden plank flooring, and the thin layer of vinyl on top is colored with a variety of paints and a protective coating that is resistant to scratches. Even under the most extreme conditions, the plastic flooring will hold up well and help you to get the maximum dollar from your investment. The plastic wood flooring will help to reduce any noise from heavy foot traffic, perfect for the homeowner with many children or large pets. The plastic flooring is a breeze to install and maintain, and is available in numerous patterns that give the appearance of real wood grains. In addition to the plastic laminate flooring being affordable, attractive, and durable, it can be installed in just a day. 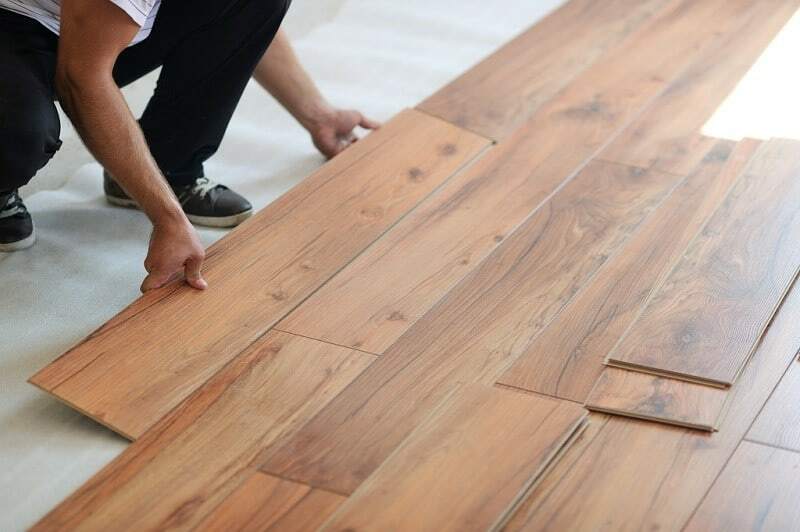 The best thing you can do before installing your new plastic flooring is put some time into making certain the sub-floor is perfectly flat because any imperfections or flaws will show an bumps in the plastic. Consider a well-sanded plywood sub-floor as the foundation for your new flooring. 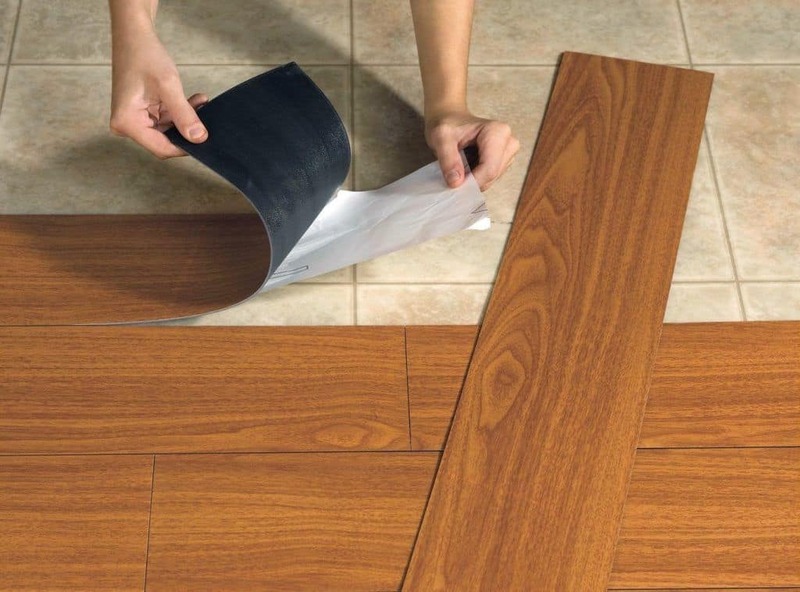 Don’t install your new plastic laminate flooring over other plastic flooring. Strip the are down to the base layer, and smooth it out before proceeding. Many flooring manufacturers will not guarantee their product if the flooring has been placed over other flooring. If laying your new plastic laminate flooring over a concrete slab, make certain to get all the imperfections out now. Uniformity and smoothness is the key to the perfect look. The plywood foundation is considered the best sub-floor and any imperfections can be sanded out in seconds before laying down the planks. Start in one corner of the room and continue to the end where you can cut and fit the remaining pieces perfectly. Even a novice handyman can have a professional looking floor with plastic laminate, it all comes down to the sub-floor. 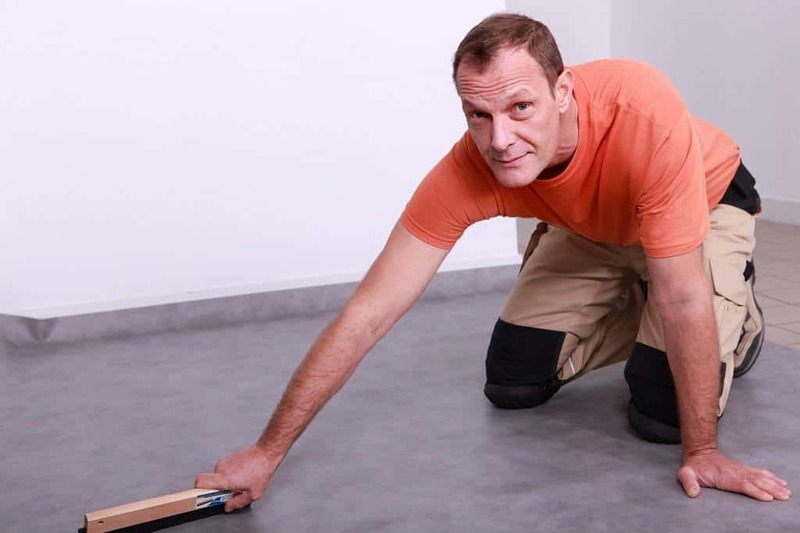 Most new plastic plank flooring has a glueless locking system that will create a seamless connection point that will hide any gaps along the way. 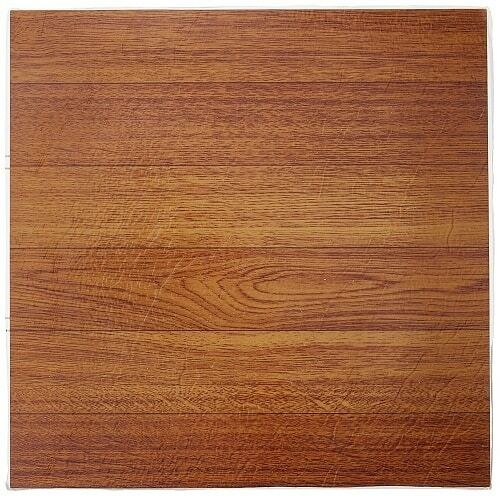 This Asian Teak plastic flooring has the typical wood grain design that looks amazing in any room. 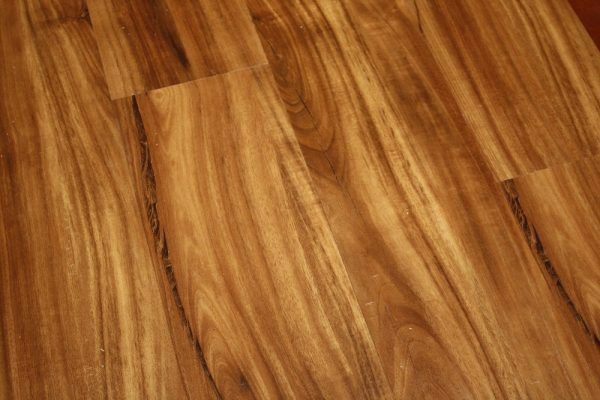 The flooring is a breeze to lay down and will help to transform the look of your kitchen, dining room, or living room. Looking to give that room a more historic look? This cherry-wood design really will transform the look of any room, making it the focal point of the living room, dining room, or kitchen. One of the popular reasons for this plastic flooring is only you will know it isn’t real wood at first glance. 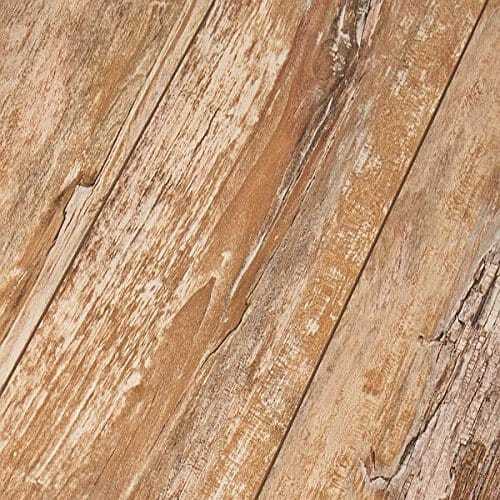 Farmwood plastic flooring has the look of an old farmhouse floor with wooden planks that have a rustic feel to them. The flooring is a simple to lay down, requiring less than a full day to transform the look of any room in the house. Dynamix plastic flooring works well with just about any contemporary or traditional home decor. The perfect choice for any room in the house, or to give that apartment, condo, or dorm room a new fresh look. Minimal work required to give any room a completely new look. 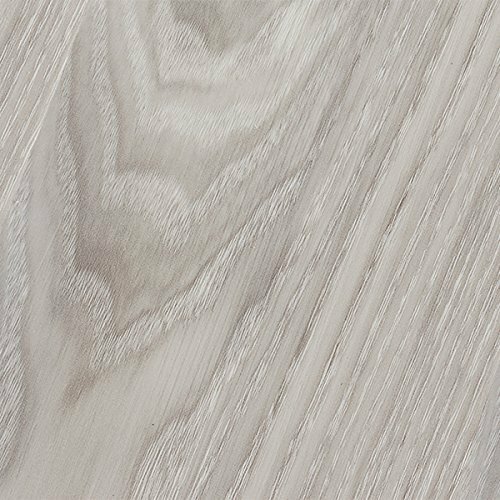 Gray oak plastic flooring matches just about any color or style in the kitchen, living room, dining room, or den. The entire floor will lock together without the use of any glue. Provides years of enjoyment and cleans to like-new with minimal effort. Resists spills from getting under flooring, allowing for easy cleanup. Photos from: photography33 / depositphotos.com, kellkinel / depositphotos.com, .shock / depositphotos.com, sssccc / depositphotos.com.